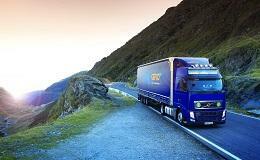 EBITDA rose 16 per cent at GEFCO last year to €201 million on sales up 5.1 per cent to €4.4 billion. The group said 2017 marked a milestone in its long-term improvement strategy with both the Overland and Freight Forwarding business returning to profit. Both divisions were underperforming when the new management team arrived in 2013, and have since improved margins every year as a result of GEFCO’s drive for operational excellence. At the heart of GEFCO’s business is its €8 billion five year contract with PSA, which owns the Peugeot, Citroen, Opel and Vauxhall car brands. This contract was renewed at the end of 2016. The group has also been expanding its business outside PSA and it said that a significant proportion of its top line growth came from contract wins with companies such as Jaguar-Land Rover, Volkswagen, Tesla, Audi, Volvo, Renault-Nissan, and also Carglass and London EV Company. GEFCO’s is also expanding by moving into adjacent vertical markets, and last year it took its first step into high value modular sub assembly with the capture of a profitable tender for dashboard preparation. It also increased its business in non-automotive sectors as a result of contract wins with companies such as Amazon, Baron de Rothschild, LC Waikiki, L’Oréal, Gazprom Neft-Supply, Safran, and Procter and Gamble. As a result, non-automotive sales now represent over a third of its non-PSA revenue.